Another welcome back and I do like the new toy. Looking forward to hearing your drive reviews Jays , no harm in trying something different . Glad you've come out at last !!!! Love your new car...a real man's car. Open air driving in all weathers is magical..Im sure you have suitable wet weather gear and goggles amongst your biking gear. Thanks for the additional photos here - I expect more of course, and tales of Sevening in the Lake District & points northern! That new car looks a lot of fun . 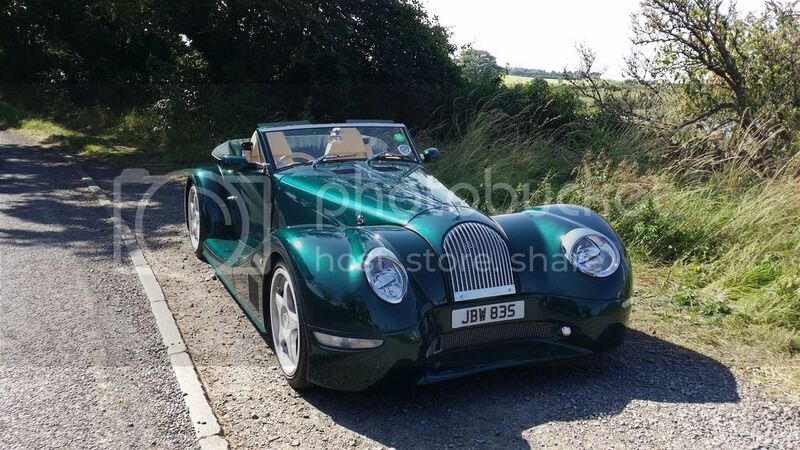 Hadn’t seen your rendition of a 4 wheeler before, I’m sure that would be very popular if Morgan ever made it..
My friend John has one, original, with supercharger and unpainted: just black and grubby aluminium! He reckons his car will do 75mph, but 50 to 60 is "fun" He also says that the brakes can work very well, but need frequent adjustment and if they won't adjust you need the inside of the drums skimmed and new shoes.